Bread with soup. Bread for toast. Bread to sop up the last streaks of sauce or gravy or pan juices. I suppose you might be able to survive without bread, but you sure can’t live without it. A big, fat, puffy, chewy, golden loaf of homemade bread is just about the best thing that could possibly happen to your day. Fresh from the oven and ripped into hunks, this bread is exactly what you want to sop up soups, sauces, dressings, gravies and pan juices. If you are a patient, forbearing, big-picture type person and you let it cool completely, this slices beautifully for sandwiches or toast. This is The Minions’ favorite bread. They like that it yields two mega-sized loaves. They love that I top one with just sesame seeds and the other with sesame seeds, poppy seeds, onion flakes, and garlic flakes. They live for the times I tell them they can tear off industrial sized pieces from the loaf that’s dressed like an everything bagel. Butter is applied liberally. There are animal noises. Crumbs fly. They wait, slightly more patiently, for the sesame loaf to cool. They slice quarter-inch thick pieces of bread and like them toasted on one side with a top-hat of blueberry jam. On the nights that I make them wait, they mill around the kitchen aimlessly, standing silently behind me like little ghosts waiting… waiting… waiting… making their way to the table and half-heartedly helping themselves to the whatever-else-I’m-serving then pouncing when the bread basket gets to them. This is a bread of beauty; golden brown, crispy crust topped with crunchy seeds (and perhaps spices) and a soft, yielding interior. It is another gem of a recipe from the King Arthur Flour Company and their top notch baker’s test kitchen. I’ve been making this bread for somewhere near ten years- ever since this recipe appeared printed in the pages of their horribly tempting catalogue. It’s a hard recipe to mess up beyond edibility. I’ve accidentally left the dough to rise overnight. I’ve hurried it along and forgotten the second rise. I’ve brushed and topped it with exactly nothing at all. I’ve substituted bread flour for all-purpose flour out of necessity. And every single time it’s wonderful. It’s a very forgiving bread to make if you’re nervous about working with yeast or dough, as I have accidentally proven time and again. Here’s a comforting bit of knowledge about yeast. If you don’t have a warm place to let the dough rise, don’t worry! It will still rise, it’ll just take longer. Sometimes much longer. Just be sure to keep it lightly covered to prevent the surface of the dough from drying. Do you want to see how very easy the whole process is? Watch this quick video! Please try this. Pretty please. With sesame seeds on top. Gently adapted from King Arthur Flour Baker’s Catalogue. Pat one piece into a rough oval. Use the side of your hand to press an indentation along the length of the dough piece. Fold the dough together along the length of the indentation. Roll lightly with the hands to form a thick rope between 12 and 14 inches long. Repeat with the other two pieces so that you have 3 ropes of roughly equal length. Line them up in parallel with the ends facing you. Gently grasp the end of the rope on the far left. Lift it to about the center, leaving the far end on the counter, cross it over the rope nearest to it and lay it down. Now grasp the end of the piece on the far right and lift it to about the center, leaving its far end on the counter, cross it over the (now) center rope (which is the first one you moved) and lay it down. This is the manoeuver you will repeat – far left over center, far right over center, and so on- until you have ends too short to continue. At that point, pinch the ends together and tuck under the braid. Now go back to the center of the loaf and finish braiding the loaf toward the top. When you reach the ends, pinch together and tuck under. This Italian style bread is a thing of beauty: golden brown, crispy crust topped with crunchy seeds (and perhaps spices) and a soft, yielding interior. Very lightly adapted from King Arthur Flour. Add all ingredients except the egg and toppings to a large mixing bowl and stir together with a sturdy wooden spoon until you form a shaggy but cohesive dough. Let the dough rest for 30 minutes, covered with a clean towel. Turn out onto a lightly floured counter top and knead until smooth and elastic, about 10 minutes. Transfer dough to a clean bowl, cover with a damp towel and let rise in a warm, draft-free place until doubled in size, about 2 hours. Add all ingredients except the egg and toppings to the work bowl of your stand mixer fitted with the dough hook. Turn mixer onto the lowest setting and mix until a shiny, elastic dough forms. Remove the bowl from the mixer, cover the bowl with a damp towel and let rise in a warm, draft-free place until doubled in size, about 2 hours. Pat one piece into a rough oval. Use the side of your hand to press an indentation along the length of the dough piece. 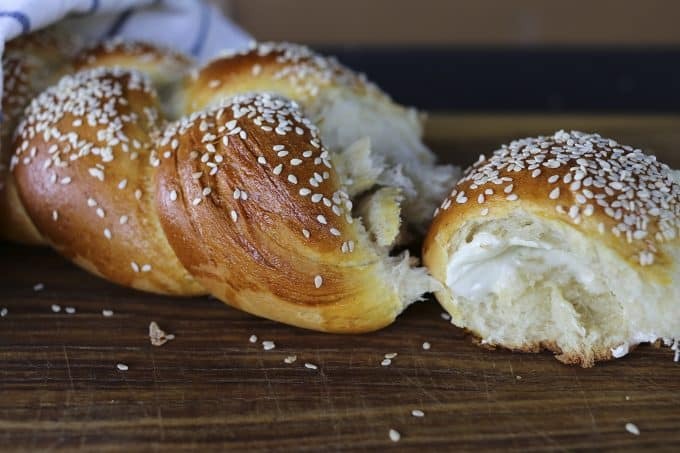 Fold the dough together along the length of the indentation and roll lightly with the hands to form a thick rope between 12 and 14 inches long. Repeat with the other two pieces so that you have 3 ropes of roughly equal length. Line them up in parallel with the ends facing you. Gently grasp the end of the rope on the far left. Lift it to about the center, leaving the far end on the counter, cross it over the rope nearest to it and lay it down. Now grasp the end of the piece on the far right and lift it to about the center, leaving its far end on the counter, cross it over the (now) center rope (which is the first one you moved) and lay it down. This is the manoeuver you will repeat - far left over center, far right over center, and so on- until you have ends too short to continue. At that point, pinch the ends together and tuck under the braid. Now go back to the center of the loaf and finish braiding the loaf toward the top. When you reach the ends, pinch together and tuck under. Cover the loaf lightly and let rise in a warm place until puffy in appearance and about doubled in size. Preheat oven to 400°F. Whisk the egg until very loose. Paint generously onto the risen bread braids and sprinkle the braids with desired toppings. Bake for 18-26 minutes or until your preferred shade of golden to deep brown and firm on top. Turn the oven off, prop the door open a little (two inches, if you can make your door behave) and let cool for at least an hour. Or tear into the loaves with your teeth. I won't tell. This post was first published March 4, 2011. I love KAF, particularly their bread flour, and their test kitchen blog, Baking Banter. Bread baking is my (recently new) favorite hobby and I’m always looking for new ones to try. Thanks! Foot-gnawing bread is pretty good bread! Me and yeast are still learning how to be friends, but it does sound great! Best, easiest bread ever! Truly, I cannot believe how easy this was. The dough was a dream and the finished loaves tasted amazing. I will make this again, you can count on it. These look stunning! I’ll bet they were delicious too. I’ll be sure and give this a try! My book club, husband, and son (well, me too) all thank you. It was great! I’ve been baking bread for many years now, and the best bread that I make and the most successful batch is usually when I prove the yeast before adding it in. Do you prove your yeast? If you use instant yeast you do not proof it, you can use dry yeast and proof it. I’ve used both yeasts and the result is the same. I heard a rumor that somebody’s going to be [edited for family website content] due to this bread. Okay, I am trying this beautiful bread today. My problem I am seeing is that the dough looks dry. That seems to be the trouble I have with the humidity here in SW Florida. Any suggestions, also especially with the water. I used my filtered refrigerator water should I use bottled spring, purified or distilled water? Hoping to have the crusty soft warm semolina seedy taste again that I had in Brooklyn, NY. Missing home for the food. Thank you. Delicious and beautiful bread. I made it tonight hoping for a great recipe in which to use semolina flour. This recipe is delicious. My bread and photo look like the ones posted (minus the seeds as my children don’t like that addition). Because of the 4 Tbsp sugar, the bread has a hint of sweet, but not too much. The crumb is on the finer side, but not quite as fine as challah, or other egg breads. I make all our family’s breads; this recipe will be well used in our home. 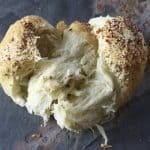 I’ve always wanted to make our own bread and am excited to try this recipe BUT we like using whole grains. Can we substitute for them and how? Hi Valerie! This particular recipe is geared toward being made specifically with unbleached, unbromated white flour and semolina flour. I have not experimented with subbing in whole grains. If you give it a shot, I’d recommend starting with a small proportion of whole grain flour to regular all-purpose or high-gluten flour. Keep working your way up, batch after batch, until you find that ‘threshold’ at which it maxes out on how much whole grain it can support. Just made this bread last night – the best semolina bread I have ever had!!! The dough only took one hour on the first rise – I put the dough into my warm oven – no warmer than 100 degrees and it rose perfectly. I am keeping this recipe for all my future loaves of semolina bread that I will be making. Thank you for sharing this wonderful recipe !! You’re so welcome, Frances! Thanks for letting me know it went over very well with you! We surely love this as well!! This bread is unbelievably good. I bake a lot, and this is becoming part of the regular rotation. The dough is a pleasure to work with. Thank you so much for this excellent recipe! First off ~ I love your website! 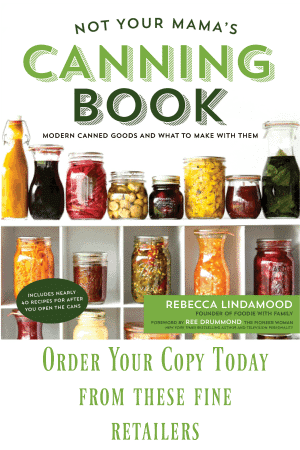 You have fabulous recipes, and often I find myself laughing aloud as I read your commentary. I recently ordered diastatic malt powder from Amazon to make bagels. Could I use that instead of non-diastic as your recipe calls for? Thank you, Chocolate Lady! You can certainly use diastatic malt powder for this! it is snowing outside today, April 16, 16 here in Colorado. Spring time in the Rockies is always erratic, I awoke to kids soccer and LAX games being canceled and wanting bread. Thankfully I bought semolina flour last time I was at the store. Had King Arthur’s flour but forgot it was tucked in the pantry, just made this with an organic unbleached flour I found at Costco and the Semolina flour. It is almost done and the house smells amazing. 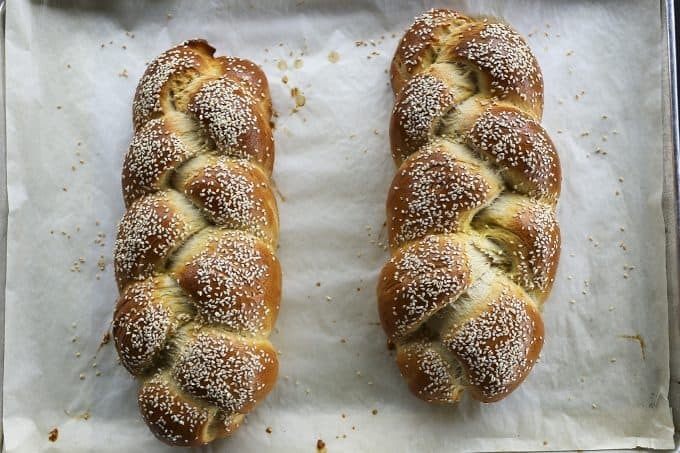 We braided it and added the poppy seeds, salt, onion and garlic flakes. Doubt we will wait an hour for it to cool. So easy! Thanks for making our snowy day fun. That sounds like a perfectly perfect snow day activity!! Such a perfect looking bread! I love it! If I don’t have a warm place to let the dough rise, I just preheat my oven for 60 seconds or so, turn it off and put the bowl of dough in the oven to rise. If you let the oven heat for just a short amount of time it won’t be hot enough to kill the yeast. That way I don’t have to wait for hours for the dough to rise. If your oven is occupied, you could also potentially set the bowl of dough in a larger bowl of very warm water. That’s a very good way to proof the dough when your house is chilly! What is the difference between diastalic and non – diastalic malt powder?? 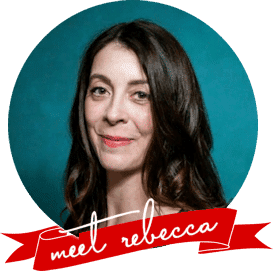 I love reading your blog and enjoy the recipes. Thanks for sharing. 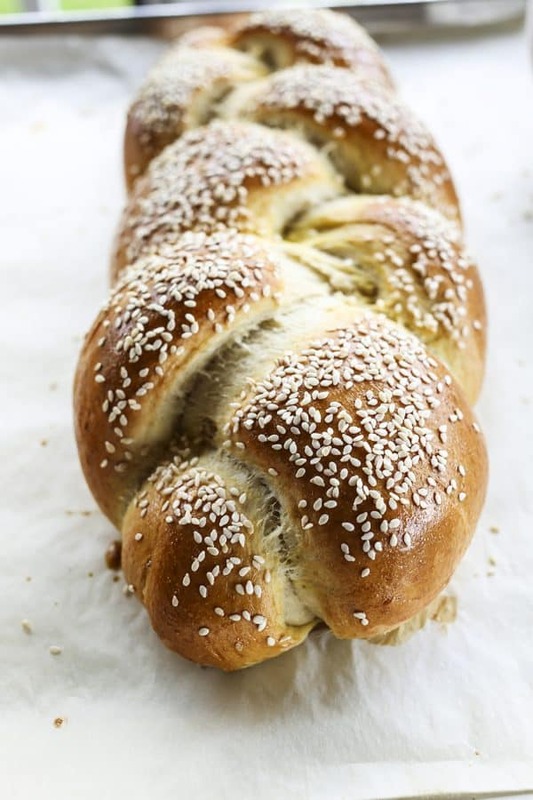 This turned out absolutely gorgeous – dough was super-easy to work with and made beautiful braids! One I added poppyseeds and sesame to, the other I added cardamom and pearl sugar. Toasts beautifully, too. Thank you for this gem of a recipe from a fan in Japan! My goodness, thank you, Umar! This turned out great! And I’m not even a great bread braider. I kinda winged it and it still turned out! This bread is incredible. Made it last weekend, making it again this weekend. Easy and so delicious. Thank you!! Look awesome. Will try to bake this weekend. I am a novice baker. What does the indentation do and why is it necessary before you roll the individual pieces before braiding? Thanks! That’s a great question, Steven! The purpose of the indentation is to give you a more uniform piece of dough to shape and roll. It makes the ropes for the braid more even when you roll them out. Made these today using Bobs Red Mill Artisan Bread Flour and Semil is flour. Superb breads, love having this now in my repertoire. 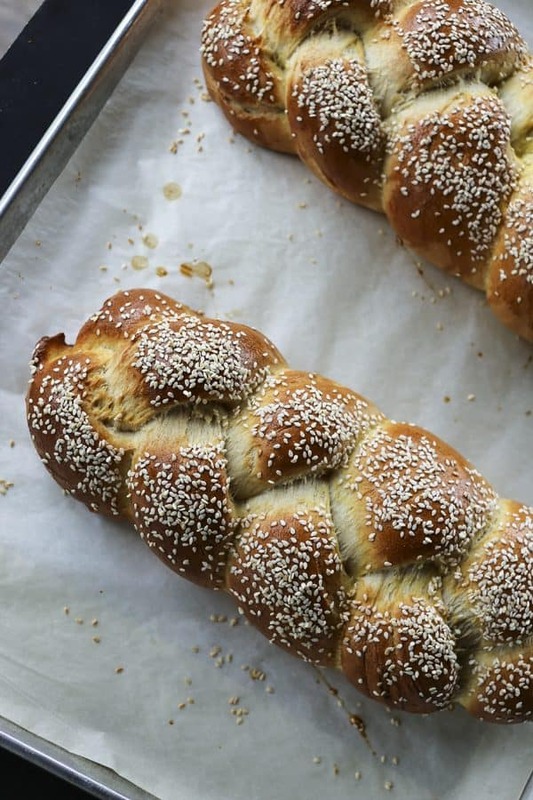 Great tip on making the dough snakes for braiding – will use this the next time I bake challah. sorry for ty[po – couldn’t correct. Meant to say Semolina flour. I made this today for Christmas Eve dinner. It was so easy to make and smells delicious. Can’t wait to try it! I’m in process of mKING this bread now. The dough is very dry and heavy. I used the weight measurements. It was not glossy. It’s rising now. Hope it works out. Without being there, it’s hard to know what happened. I hope your bread turned out nicely! Do you know what altitude you’re at? Was it humid/dry where you are? What’s your ambient room temperature? Hey Nancy- How did this end up for you? I’m so curious about what went wrong for you. Hello, could you use strong bread flour instead of all purpose? Hi Jodie- You most certainly can, but I’d advise some extra kneading because of the higher protein count!